Adhesion Promoter is a polyurethane liquid with extraordinary adhesive properties. 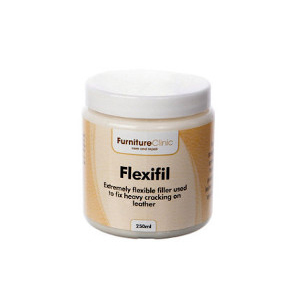 Applied to leather or vinyl one step before the application of colourant, the product creates a flexible coating that binds to the leather surface. 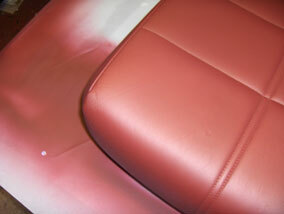 When the colourant is then applied, it sticks to the layer of Adhesion Promoter, rather than the leather. 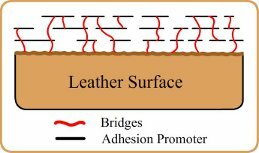 This image illustrates how the adhesion promoter (in red) has filed the creases and formed a coating bonded to the leathers surface. 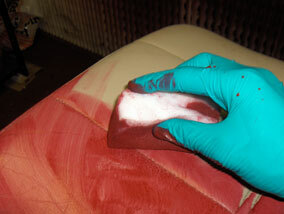 The application of Colourant (black), then adheres firmly to this layer. 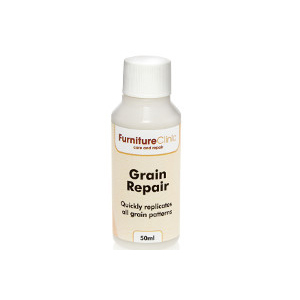 The adhesive properties of the promoter are much greater than that of the colourant, so applying it first, will create a better bond to the leathers surface than the colourant would have on its own. 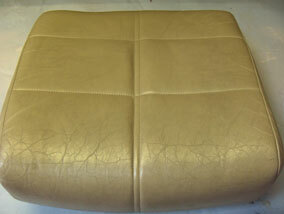 In addition to helping adhere to the leather better, the adhesion promoter will also start to bind with the colourant creating a permanent merged layer, rather than one sitting on top of the other. 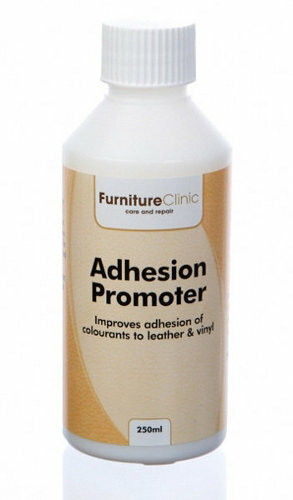 Adhesion Promoter is ideal for use on all restoration jobs, especially those where the leather is heavily creased. 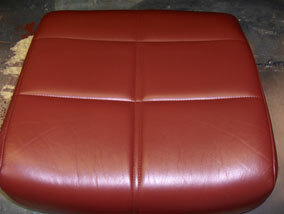 Creases naturally occur as the leather is used, in these creased areas there tends to be a lot of stress and flex to the surface. 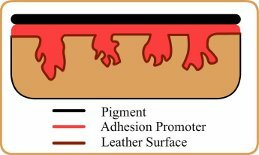 The adhesion promoter helps In these high wear areas to prevent degradation to the new coatings and extend its functional life. 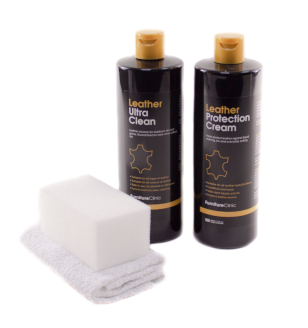 The Adhesion Promoter should also be used on leather that you expect might be problematic, such as areas where grease/oil has been removed. 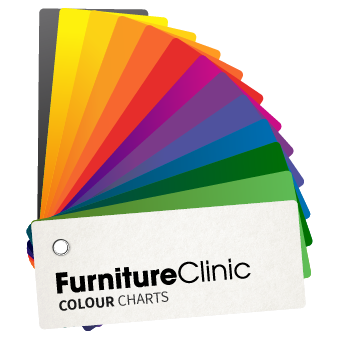 The product will help the colourant stick better reducing chances of the grease coming back through and affecting the colour. 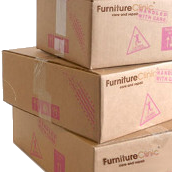 It should also be applied to areas where the piping is raised out so that the leather is easily knocked and abraded with use. 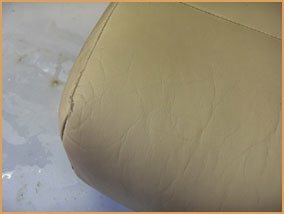 Applying Adhesion Promoter onto these raised areas will increase the lifetime of a repair suffering from heavy knocks and constant abrasion – areas such as car seat bolsters. 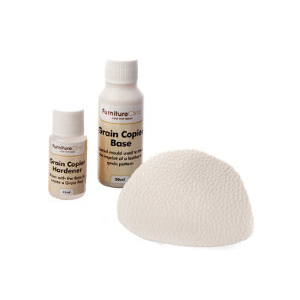 Add 10% Cross Linker X to the Adhesion Promoter & shake very well for 2 minutes. 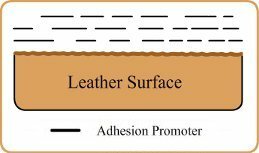 The addition of Cross Linker X starts a chemical reaction with Adhesion Promoter increasing the adhesive qualities of the solution. 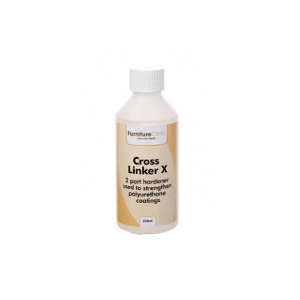 It is also the addition of Cross Linker X that causes the bond to form between the Adhesion Promoter coat and the Leather Colourant. 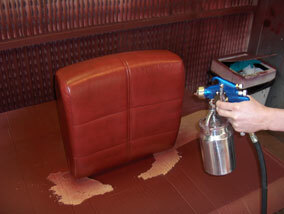 Apply one base coat to the leather with a sponge ensuring it is fully rubbed into all areas. 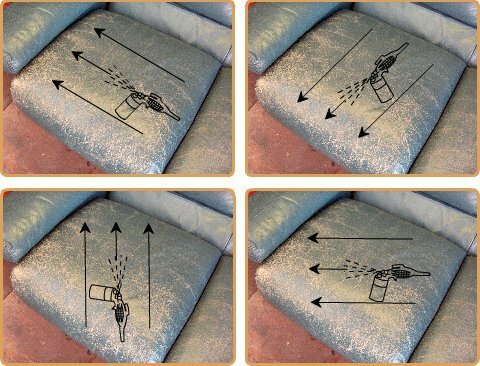 Dry off thoroughly with a hair drier so that the product has set, i.e. 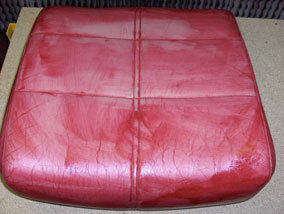 it isn’t runny/watery. 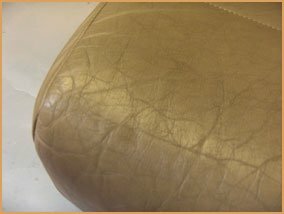 The Adhesion Promoter will always dry tacky so the idea of the hair drier is just to set the product so that later applications do not run. 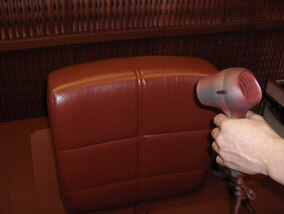 Heat also starts off chemical reaction so each layer should always be heated with a hair drier. 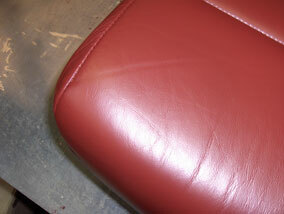 Apply two more coats by spray application using an airbrush. 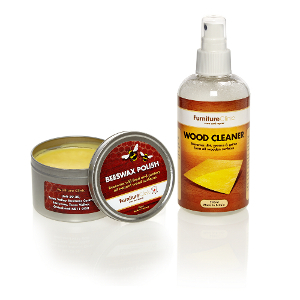 Apply one with a vertical movement and overlap this with a horizontal movement and dry off with a hair drier. 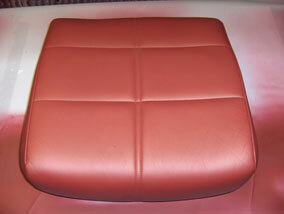 Then another in a diagonal movement that overlaps, creating a crisscross effect. 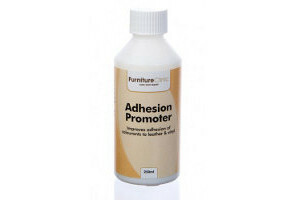 This ensures even coverage of the Adhesion Promoter onto the leather or vinyl surface.